A high key Hamas delegation arrived Saturday in Cairo for talks with Egyptian officials over Rafah crossing and also to express willingness to thaw ties with West Bank ruler Fatah movement. Led by the movement’s Political Bureau Chief Ismail Haniyeh and the movement’s Gaza Chief Yahya Al-Sunwar, the delegation will meet with Egyptian officials on the ease of the blockade at the Rafah crossing implemented by Egypt after Hamas took control of the enclave in 2007. Cairo accused the movement of supporting militants in the restive Sinai. Gaza has also been under Israeli siege for a decade making lives of nearly 2 million Palestinians unbearable. The visit is the second major by leaders of the Islamic movement in Cairo in a short period. 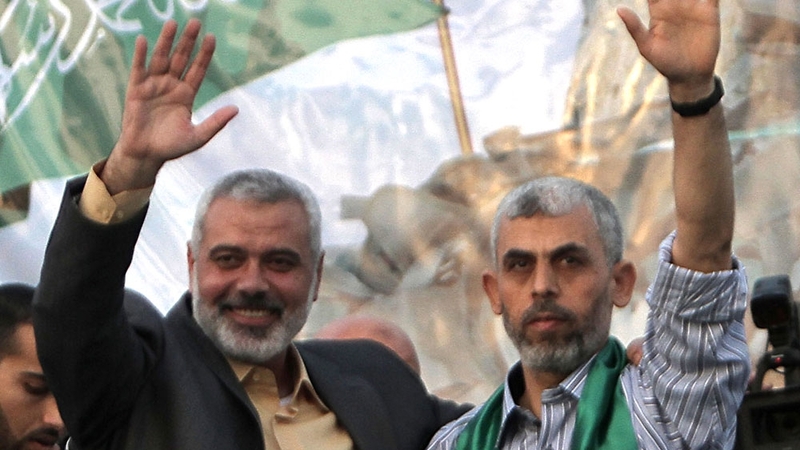 In June, Cairo hosted talks between Egyptian officials and top Hamas members. The talks, in July, led to Egypt’s supply of thousands of litres of fuel to Gaza’s unique power plant after Israel drastically reduced its energy supply following decision by President of the Palestinian Authority Mahmoud Abbas to reduce payment of Gaza electricity bills. Abbas sought through the measure to secure Hamas’s relinquish of Gaza. The move on the contrary exasperated relation between Gaza and Ramallah. Hamas as a result bridged rivalry with Mohammed Dahlan, the exiled former Fatah leader in Gaza who was defeated by Hamas when it took control of the territory in 2007. Dahlan reported close to the United Arab Emirates (UAE) and Cairo is tipped to replace Abbas. Written by: KanelkaTagba on September 11, 2017. Posted by KanelkaTagba on Sep 11 2017. Filed under Headlines, World News. You can follow any responses to this entry through the RSS 2.0. Both comments and pings are currently closed.